For use with 1/8th chains. 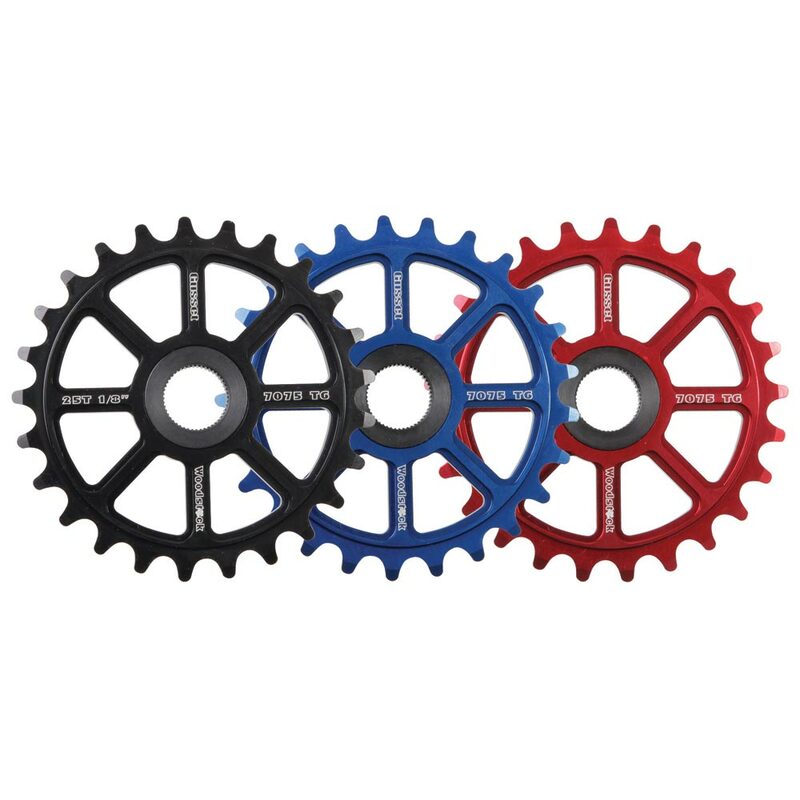 Anodised Blue, Black or Red. 25t -75g, 28t - 88g.